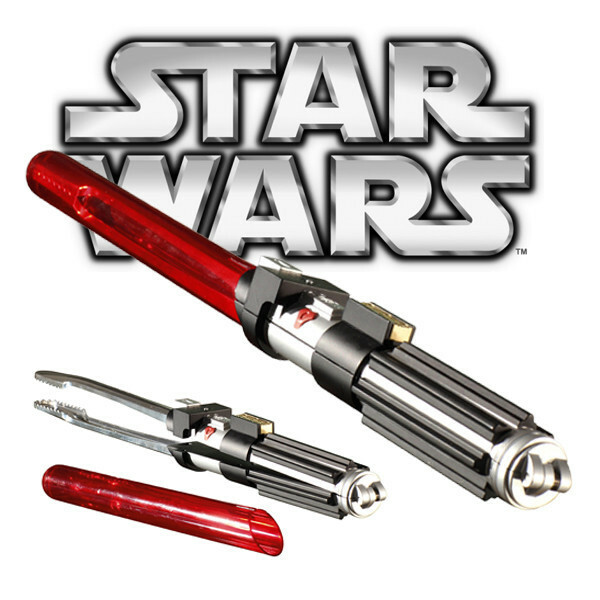 Lightsaber BBQ Tongs | OhGizmo! By David Ponce on 03/04/14 • Leave a comment! Would Darth Vader have been able to grill a mean steak? Would Luke Skywalker be able to BBQ a half decent burger? No one really knows because the rebellion doesn’t take a break for a delicious charbroiled lunch. 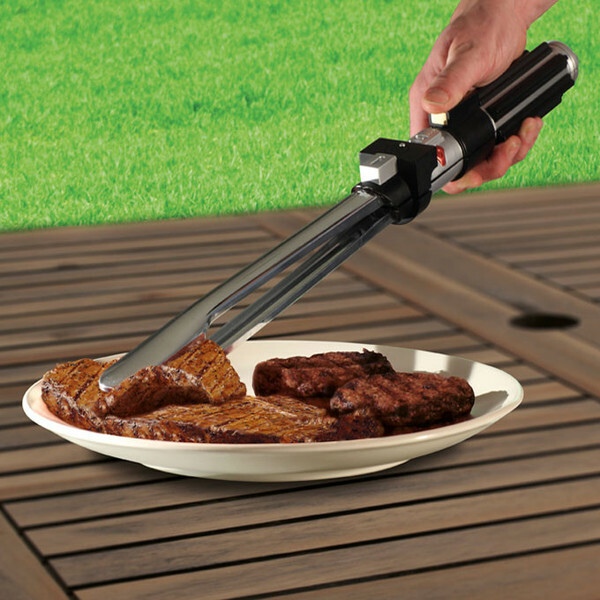 But that hasn’t stopped The Fowndry from releasing this official set of Star Wars Lightsaber™ BBQ Tongs. Yes, they do make the classic lightsaber sounds when you press a button so you can reenact your favourite battles as you wait for the ribs to be just right. Getting one will set you back all of £19.99, or roughly $32.